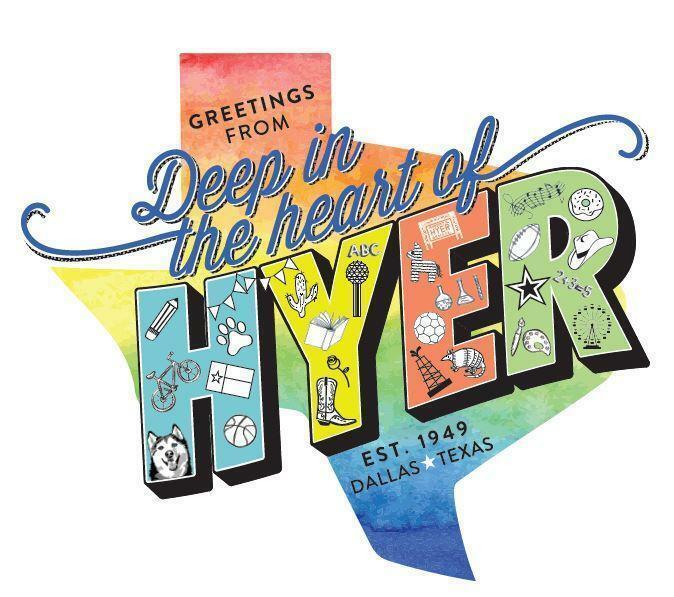 Hyer Elementary has been the HEART of our community for almost seven decades. We are grateful and appreciative for your generous financial contributions over the years. As we transition to a new campus, and begin our fundraising efforts for the upcoming 2018-2019 “Deep in the Heart of Hyer” school year, we are excited to continue our partnerships with local corporations. We have a wide variety of corporate sponsorship opportunities throughout the school year that include our Auction, Bike Rodeo, Field Day, Grandfriends Day, Moms’ Night Out, Read On HYER, Spirit Wear Bags and Teacher Appreciation Lunches. We know you will find great value, including exposure to over 500 Hyer families, in our sponsorship opportunities. Your contributions are crucial in our efforts to help students achieve academic excellence and receive an exceptional educational experience through outstanding programs supported by our PTA. These events would not be possible without your gracious support. Here are some ways your sponsorship dollars impact our school, students, staff and teachers. Teachers are the heart of our school and the district. We support their salaries, professional development and continuing education, which also includes financing graduate degrees. Each year we gift funds to HPISD that support all district teachers’ salaries. We are committed to our students’ academic excellence. We fund exceptional interactive student programs including Passport to Spanish, the student art show, and at our new campus this year, a hands-on farming and garden learning experience. We also fully fund Balto’s Baristas, a weekly coffee cart hosted by our Structure and Fundamentals classrooms. We provide valuable resources to keep our science lab current and dynamic. We provide technology and educational software that supports our cutting-edge digital learning environment. Our dollars also support our Makers Space Initiative, which embraces active, hands-on learning. Finally, we maintain a technology endowment fund that will benefit the Huskies of the future. The PTA supplies books as well as reading, writing and math learning sets for our teachers’ classrooms. We purchase furnishings and tools for effective classroom organization and layout, and we also provide any necessary enhancements to our campus. We fund administrative support by paying for our copier and printer leases. We also give needed supplies and maintenance to keep our school thriving. We support many community outreach programs for our students. These include programs such as Red Ribbon Week, the Kindness and Compassion Club, the Change for Children’s initiative and many other school-wide philanthropic events that build confidence and encourages service to others.